Amazing 4-bedroom home with an impressive ship's watch with Gulf views on a half acre lot, just blocks from the beach! There is also a bonus room, mud room, fantastic covered porch leading to the backyard, upper balcony for two suites and the open top floor deck. This stunning home is being sold fully furnished and decorated making this move-in or rental ready. Luxury features and fine details can be found throughout, including stunning marble counters. Recessed lighting accents nearly every room, and a built-in sound system ensures entertainment wherever you go. 20'' tile flooring extends through the living, dining, kitchen & hallways. The open & spacious layout is designed for entertaining large groups and the abundant large windows bring in lots of natural light adding to the open feel.From the living room and dining room, double doors lead to the large patio outside that is perfect for grilling or just relaxing in the fresh air. The kitchen is impressive featuring stainless steel appliances, crown molding, recessed and pendant lights, marble countertops, craftsman cabinets, and a large marble breakfast bar for additional seating. There is dining area for 8 for a more formal setting. A walk-in pantry offers additional storage, and a mud room makes it easy to dust off from a day at the nearby beach. Wainscoting, recessed lights, and craftsmen quality window and door frames add an elegant style to the home. There are conveniently two bedrooms on the first floor. One bedroom features 20" tile floor and a wide closet, while the other bedroom offers tile floor and two sets of bunk beds that will sleep 4. A full bath with a large granite vanity, wainscot walls and tile shower is located conveniently between these two rooms. A first floor laundry room comes complete with a granite counter, utility sink, additional storage space and full size washer and dryer that convey with the sale. A hardwood staircase leads upstairs past immense windows that brighten the house even more. The master bedroom features wainscot walls, recessed lighting, and doors leading out to the balcony, which is an ideal spot for relaxing and enjoying the fresh sea breeze. The en-suite master bath is simply breathtaking! This bathroom features a giant walk-in tile shower with 3 shower heads and glass block accents, a separate tile whirlpool garden tub, dressing area, 2 granite vanities, and a walk-in closet. Also on this level is an enormous "second master" bedroom furnished with a king bed and doors leading onto the 2nd floor balcony deck, which is shared by both bedrooms. Just outside the room you will find a very large full bath, with a beautiful arched window, sitting area, a granite double vanity, linen closet and tile shower tub. Further upstairs is a great bonus room that would make an excellent media room, studio, or office. The centerpiece of the home is a top floor ship's watch with sun deck and wrap-around balcony. 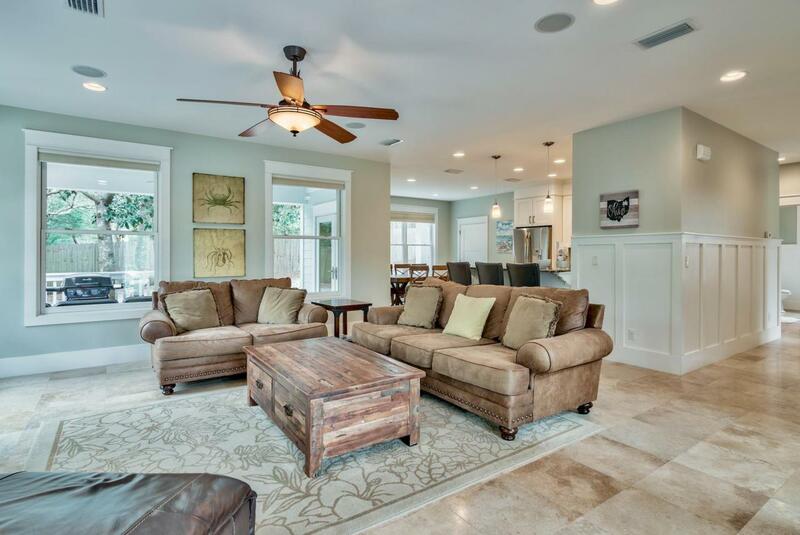 This large room is perfect for entertaining guests! Hardwood floors, a granite wet bar with mini fridge, ceiling fans and a built-in sound system surrounded by large windows with picturesque Gulf views will make this the most popular room in the home. The big sundeck is large enough for even the biggest group to gather and enjoy. The wrap-around balcony offers exceptional views in all directions, with the Gulf visible just a few blocks away. 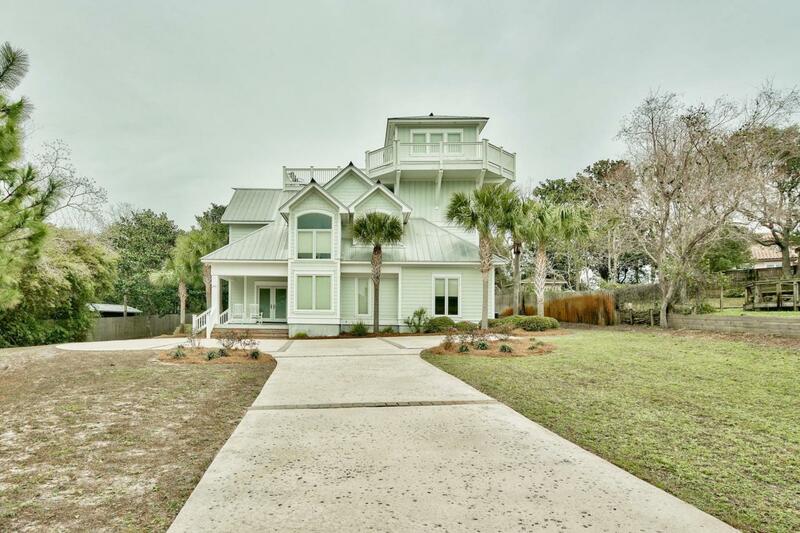 This home is located in the quaint Gulf Pines community, which offers deeded access to the beach via a boardwalk, pavilion and gazebo. 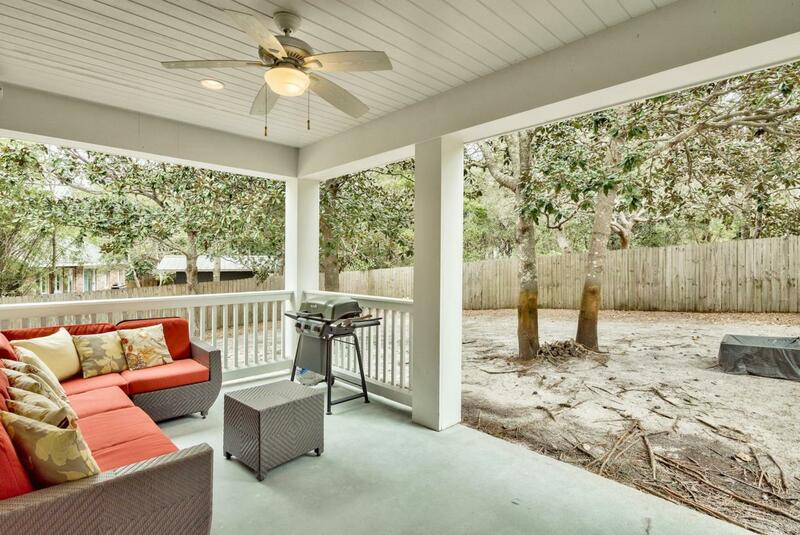 Deeded beach access to one of the most pristine and uncrowded beaches in Miramar Beach! This quiet community is nestled within gorgeous native Florida coastal woodlands and offers a beautiful sense of serenity and privacy, while being just a short walk off the beach. The neighborhood is a mixture of vacation rentals and full-time residents, so if you are looking for a quiet spot away from the hustle and bustle of the peak season, then look no further! There is also a great lake within the community with a park. You won't have to travel far to enjoy all the wonders this area has to offer. You will be just minutes away from fine dining, upscale shopping and nightlife! The central location is just minutes away from the dining, shopping, and nightlife of the The Village of Baytowne Wharf, Grand Boulevard, Silver Sands Outlets and the legendary charm of the 30-A area. Gulf Pines is one of Miramar Beach's hidden gems with a laid back "Old Florida" feel locals desire, yet still high luxury. 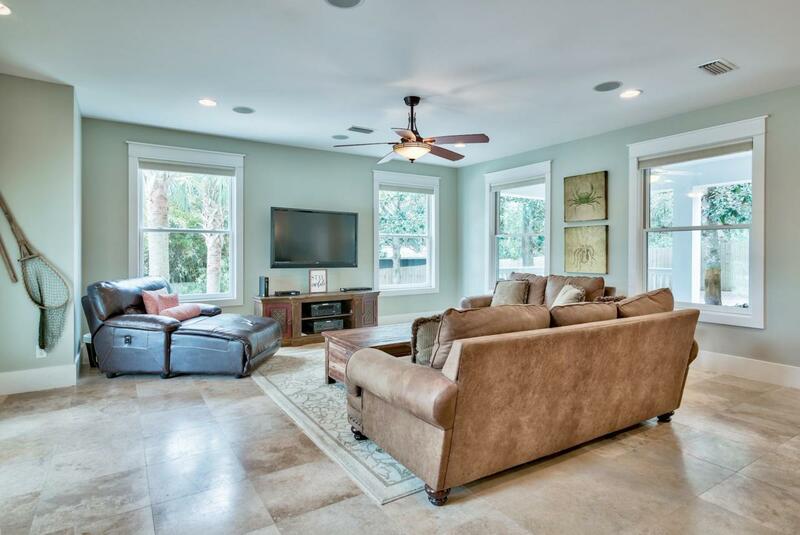 Don't miss this opportunity to own this amazing home right in the heart of the Emerald Coast!